On her last birthday, Maya received a beautiful piggy bank from her savvy auntie, Monica. It’s so cute, and even has her name hand-painted on it. Immediately the money she got in her birthday cards went in there, as did the loose change from her daddy’s pockets. I thought about it for a few days, did a little research on allowances both online and by talking to some friends with older kids, and decided it was the right time to start our own system. She was already showing interest in dealing with money, so I knew that was a good sign. My dilemma was whether to tie the allowance to chores or not. Ultimately I chose the former, because I didn’t want her to think that we were giving her money “just because”. I explained to her the concept of having a job and responsibilities, and how sometimes you get paid for that. Her “job” would be to keep her room tidy, clean up her toys after playing, and put her dishes next to the sink after each meal. I figured 3 responsibilities for a three-year old sounded fair. At the end of each day she would get 50 cents to put in her piggy bank if all her chores were done. She made her first purchase with a combination of gift cards and allowance money a few weeks later – a V-Tech Kidizoom digital camera. Dealing with the steady stream of “I want that!” and “Can I buy this?” is easy. If she sees something she wants, I tell her that she has to save up for it. We still buy her Christmas and birthday gifts obviously, but anything extra is up to her. Her most recent purchase was a light-up hula hoop and a 3 gallon container of bubble solution. I didn’t think the hula hoop would have a long life (considering she doesn’t know how to use it) but she loves it. She still uses her camera on a regular basis also, and other than a few scuffs, it’s in pristine condition. Maybe the fact that she bought it herself makes all the difference. It’s been almost a year since she received that piggy bank, and although I still have to remind her about her chores once in a while, she carries them out without complaint. Her fourth birthday is less than a week away, so it would make sense to add one more task to her daily chores, but I’m not going to. She is great about helping me when she sees me doing household work (transferring clothes from washer to dryer, sorting socks, unloading the dishwasher, watering plants, etc) so I think she really understands the concept. I’m still not sure if I’m going to raise her allowance, though… but I still have a few more days to ponder that question. 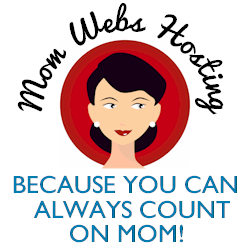 I wrote this post to participate in this week’s Parent Bloggers Network Blog Blast. It’s sponsored by Capitol One, which just launched an interactive Moneywi$e eLearning tool to help you learn about money management, as well as how to talk to your kids about it. I thought I bought her that piggy bank?!?! Oops! Ha ha. Guess that’s what happens when I write late at night! I’ll fix it right now. Great post! We started teaching The J about money and allowance about the same age. He is almost 9 now, and a few times he’s saved up enough money to buy some big ticket items. This time he saved up $80 over a year+ between holidays and birthdays, and is getting a good digital camera for his blog pictures. We also teach him that 1/2 goes into savings and 1/2 goes into his pocket. This way, we foster a good sense of savings now so when he starts working, he has a basis in it. Good article! With Sarita…i didn’t deal with money until she was about 6-7. When she was sent $ before then , i told her we put half in bank for Vet school (which she has said since 3..and still does…that she wants to go to). She was happy. For some reason , she didn’t want ‘things’…then. It is different at age 13, of course!. Sarita is just a worker…has been since she was born. For her, work was fun, not “work”. I left it alone…as that is the foundation for financial and personal success…that is for sure. But this didn’t begin the capitalism…it wasn’t until she was 7 years old that she even showed any interest in money–at all!. And then i decided (because i rarely had change on hand) to issue tickets for chores. She loved this. It reminded her of fun..of going to the rare carnival or circus…of NM State Fair. I went into Office Depot and purchased a roll of tickets in hot pink. One ticket = .25 cents. She loved cashing out her tickets. For me, it took the edge of the captialistic approach to child rearing and yet still adressed the reality of teaching children about money and that related responsibility. Worked for us. Sarita still loves the tickets…they are just worth more. Better than a hand written i.o. u. and she keeps in a clear jar..so she can clearly see when she has a good amount. Another true confession (i.e. source of Mom’s pride!). When Sarita was 4 years old, a landscape client of mine in Ruidoso..gave me a 100. gift certificate to cute children’s boutique in Ruidoso…for Sarita. It was in her name. She didn’t understand really, except that she had power to go to a kids store and walk out with fun things. When we were in the store…we met a young couple with their first baby … a little girl. Sarita insisted on a beautiful stuffed toy for the baby girl …with her ‘money’. Almost half of her money too ! I was so proud of her. She was given something and immediately ‘shared’ the wealth. The young couuple were overwhelmed as i had nothing to do with this offer. They gave me a little disposable camera to take their photos with Sarita. I have a copy. It is so cute. Sarita was tiny and yet adult too.